Chipotle/FacebookThe cause of the suspected foodborne illness outbreak linked to Chipotle remains a mystery. 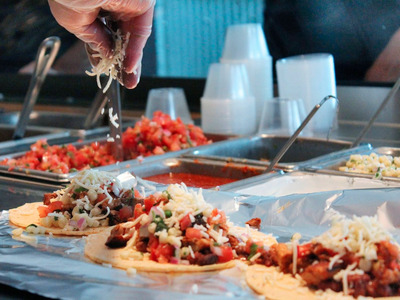 Health officials still don’t know what caused a potential foodborne illness outbreak linked to a Chipotle restaurant in Ohio. A week has passed since Chipotle temporarily closed the restaurant, located at 9733 Sawmill Parkway in Powell, following reports of several customers getting sick after eating there. Customers’ symptoms included diarrhoea, vomiting, and nausea. In the days that followed, the Delaware General Health District was inundated with more than 700 calls and emails from patrons who said they got sick after eating at the Powell Chipotle. The health department has interviewed more than 500 of those people so far to try and identify a source of their illnesses. Health officials have also sent stool samples to a lab for testing. Preliminary results came back negative for Salmonella, Shigella, E.coli and Norovirus. Further stool testing is now underway. Food samples are also being tested for a variety of pathogens, Whittaker said. The restaurant at the center of the suspected outbreak reopened on Tuesday. No customers who have eaten there since it reopened have reported getting ill.
Chipotle temporarily closed a restaurant in Virginia last year under similar circumstances, after receiving reports of ill customers. Within two days, Chipotle and health officials confirmed that Norovirus was the source of the illness outbreak.